This is a PvP build for the Gunslinger. This will mainly utilize the Dirty Fighting specialization. Note: This build was created with the Darth Hater Talent Calculator. The link to view this build is here. The parallel Sniper build is here. Goal: The answer to the question “How do I get more DoTs?” is right here. Vital Shot gets better, we unlock Shrap Bomb, which is a AoE DoT bomb that slows targets for a while, we make our DoTs hurt more, and we gain an attack that injures our target the more DoTs that are on him. Attacking: Start with Shrap Bomb, then Vital Shot. Look for clusters of enemies for Shrap Bomb, to put its AoE nature to good use. After you have the two bleeds on a target, use Hemorrhaging Shot to amplify the effects of the bleeds. Follow up with Wounding Shots, and with a light or medium armor target with no heals or shields, hit Quick Draw and watch your enemy fall to the last few ticks of your DoTs. Also, Thermal Grenade is a very powerful, short cooldown skill in this build. Great for throwing at large groups of enemies. Make sure that you manage your energy carefully, as all of these skills are pretty high in energy cost. A high crit chance will help immensely, as crits on DoTs will return energy in this build. Defending: Run, use line-of-sight after DoTing up your target. You really don’t have any special defensive abilities, so use the fact that your DoTs do damage even while you are out of line-of-sight. Saboteur’s Utility Belt (2/2) – Reduces cooldown of Flash Grenade and Thermal Grenade. Normally I wouldn’t suggest lowering cooldowns on AoE skills in PvP, but having Flash Grenade available more often means that you have a great instant CC ability more often. Bravado (2/2) – Increases max energy by 10, which is good, since the Dirty Fighting skills take a lot of energy. Streetwise (2/3) – This ability increases Cunning by 6% (9% fully talented). This is never a bad thing, and I would recommend this ability, regardless of the build, PvP or PvE. Independent Anarchy (0/3) – Aside from the awesome name, this skill is also good because it adds straight damage to Sabotage Charge and all AoEs (which includes Thermal Grenade). I had this talented in the last iteration of this build, but there are now too many good Dirty Fighting talents. Black Market Mods (2/2) – Increases Alacrity, which means faster DPS and less time for your enemy to see you behind Cover and ready to kill them. No Holds Barred (3/3) – Regardless of your build, this is a great ability, as it increases crit chance. This is especially good for us since it increases Tech crit chance, which includes DoTs. 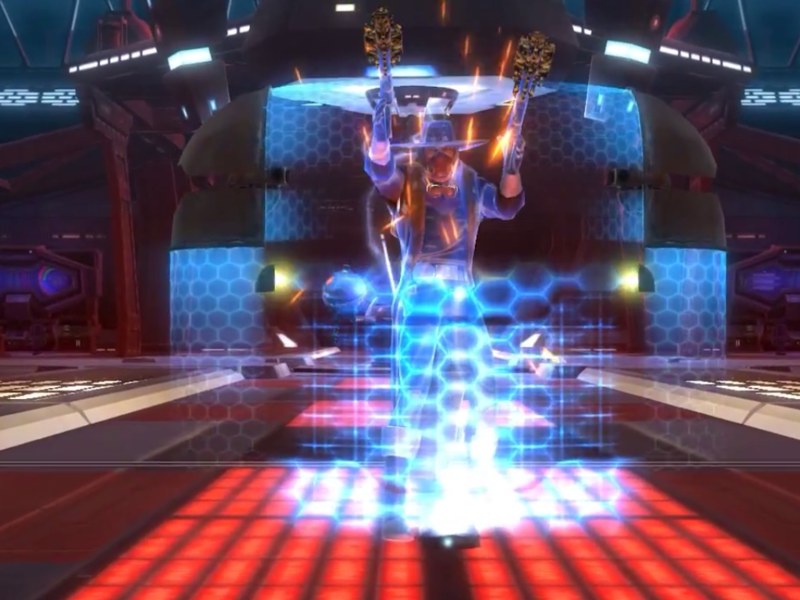 Dirty Escape (2/2) – This ability reduces the cooldown on Dirty Kick and gives a run speed buff following Dirty Kick. This is a great escape skill and this build is really focused on mobility. Mortal Wound (2/2) – Vital shot now has a 25% chance to tick twice. This means you will get roughly one extra tick per use of Vital Shot, and in the same time period. Open Wound (1/1) – Increases the duration of Vital Shot by 3 seconds. Shrap Bomb (1/1) – This is your second bleed, and this is an AoE, which is even better. It is very sustainable, with a 12 second cooldown, and a 21 second duration. Bombastic (2/2) – Increases damage done by Thermal Grenade and Shrap Bomb by 8%. Absolutely essential. Cheap Shots (2/2) – Increases damage done by Speed Shot, Quick Shot, and Wounding Shots by 6%. Useful, as Wounding Shots is one of the major skills for this build. Fighting Spirit (2/2) – Reduces cooldown on Cool Head by 30 seconds and critical hits with bleed effects give back 2 energy. This is a very useful talent, since the skills for DF use a lot of energy, as has been mentioned before. Feelin’ Woozy (2/2) – Slows any targets of Shrap Bomb by 30% for 6 seconds. Quick Getaway (2/2) – Reduces the cooldown of Escape by 30 seconds, the cooldown of Defense Screen by 15 seconds, and the cooldown on Pulse Detonator by 5 seconds. Black Market Equipment (3/3) – Increases critical chance by all periodic effects by 12%. This is extremely important for energy regen from Fighting Spirit. Wounding Shots (1/1) – Standard channeled blaster attack that deals energy damage, but the really important thing is that it deals internal damage that increases with the number of DoTs on the target. Reopen Wounds (2/2) – Increases crit chance of Wounding Shots and Speed Shot by 8%. Very nice for DPS increase. Dirty Trickster (2/2) – Makes Surrender cleanse all movement-impairing effects. Considering that really your only defense is to run and use line-of-sight, you want this ability. Cold Blooded (3/3) – Increases damage done by DoTs on targets below 30% health by 15%. This is a very satisfying talent, as this has actually ended up with one of my DoTs killing my opponent after they had killed me. Revenge from beyond the grave! Nice Try (2/2) – A new talent with Update 1.2, this makes DoTs that expire or are cleansed leave behind weaker versions of themselves, which results in a DPS boost, as well as giving you the ability to use Wounding Shots at its full strength even after the target is cleansed. Also, as a side benefit, this talent provides a 15% mitigation to periodic effects for you. Your DoTs become stronger and theirs become weaker. Great talent. Hemorrhaging Blast (1/1) – The Tier 7 ability for Dirty Fighting, this shot places a 10-charge debuff on the target that increases the damage of a DoT tick by 30%. For each tick, the charges are used up. This skill is free and thus should always be on cooldown. Last Updated: 4/14/12 for Update 1.2. 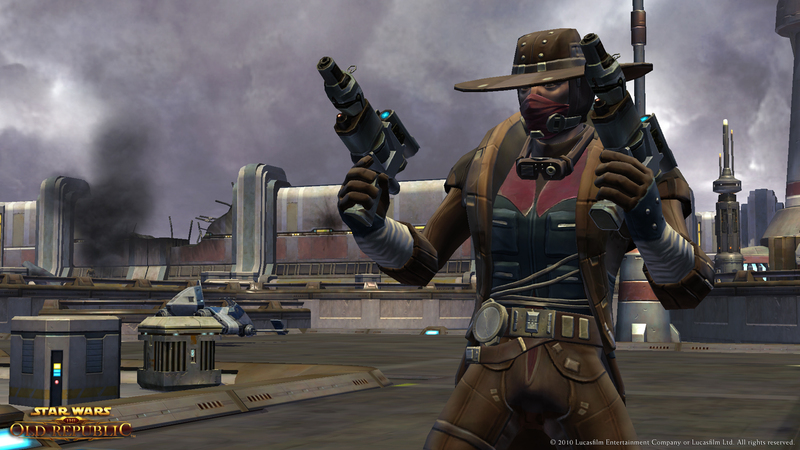 Smuggler Weekly: Dirty Words, Fightin’ Words | TORWars – SWTOR News, Opinion & Podcast!